One of the strangest fungi on the planet may apparently be one of the healthiest. Cordyceps, which is highly unique to the Asian continent and cannot be found anywhere else, has a way of growing and existing that sounds like it comes straight from a horror movie or zombie story. What it does: the fungus infects certain insects, most notably ants and caterpillars, and then grows straight out of them after it consumes them. Sound frightening? Don’t worry—fortunately, it has no effect like this at all on humans (thankfully)! What ancient herbalists did discover: when taken as a supplement or tonic, cordyceps actually doesn’t harm humans at all. In fact, it surprisingly brings a whole lot of good for health— and could be immensely supportive for a wide variety of health conditions and diseases. It’s miraculous such an odd mushroom is so powerful for human health—especially when it is so parasitic to insect life! Despite its weirdness, healers and herbalists long ago observed it, saw potential in it, then discovered its amazing health properties. Even better, research has also seen much potential in cordyceps, backed by lots of strong scientific evidence. 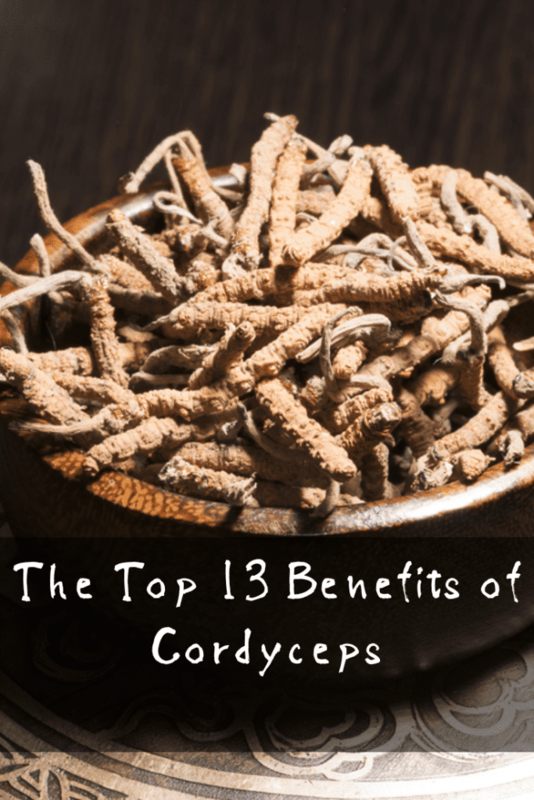 Let’s look at all the most popular ways cordyceps can be good for health, as supported by both science and tradition. Cordyceps isn’t known for anything more than its ability to boost energy. Herbalists of old may have guessed at its ability to increase energy by the way it drove insects to rapidly climb to the tops of trees, and just right before the mushroom grew straight out of their bodies! Today, scientists are finding lots of evidence for its ability to pump up energy, such as in this study. There is also research to support that it can help raise levels of ATP (adenosine triphosphate), which is literally the best direct biochemical indicator in the body for how much energy is being used and stored. Because it’s so widely known in both traditional medicine use and science as a firestarter for energy, cordyceps is a popular supplement for enhancing athletic performance, too. Studies have also shown this to be quite possibly true. One study showed that subjects who took cordyceps demonstrated a better ability to exercise in higher altitudes. 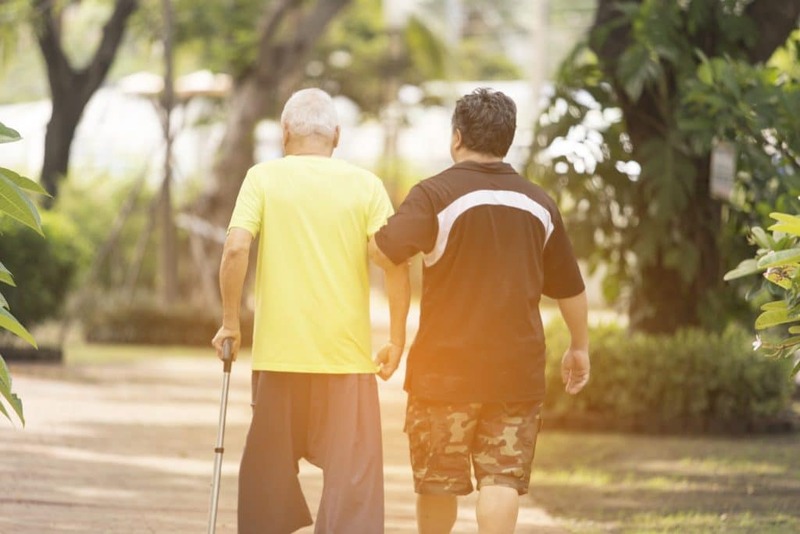 Yet another study of elderly test subjects showed that they had an easier time exercising when taking cordyceps compared to subjects who didn’t take the mushroom supplement. 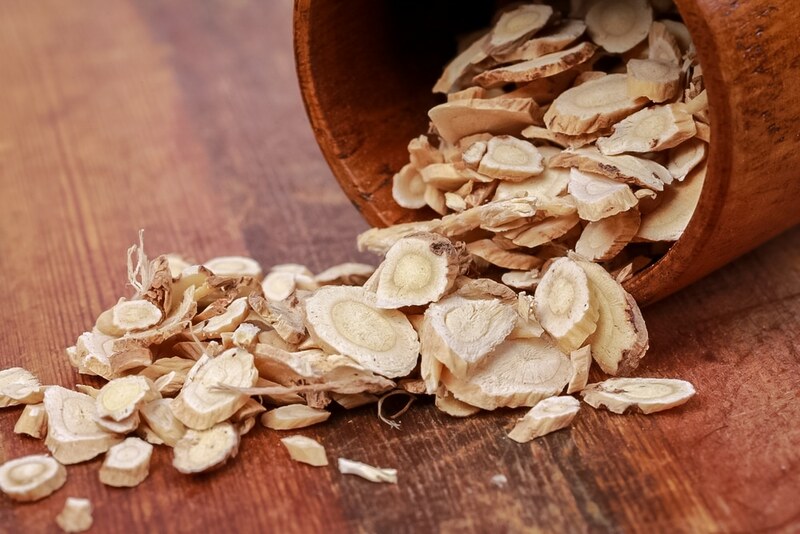 All this may be tied into the fact that cordyceps boosts ATP levels which are known to help improve athleticism, exercise, and physical performance. Boosting energy? Improving physical performance and exercise? It’s a no-brainer: such benefits could definitely help people lose weight. 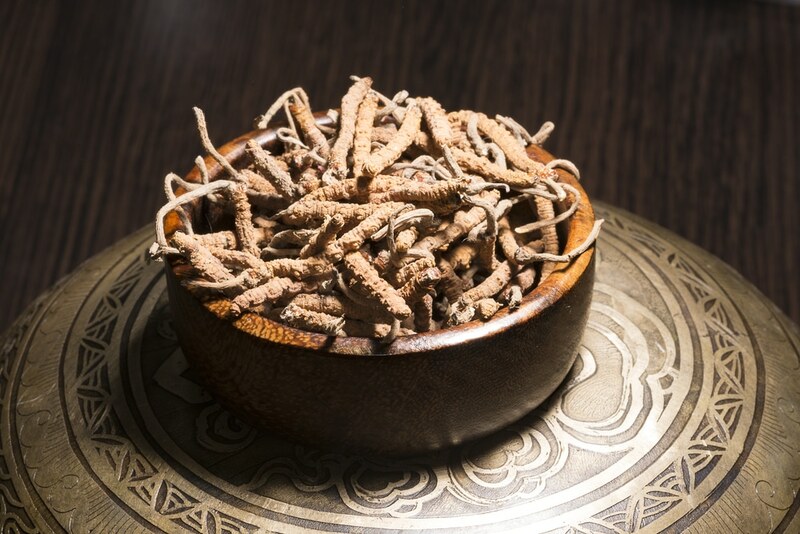 As it so happens, cordyceps has another trick up its sleeve in that it can also directly help the body’s metabolism, and thereby support better weight management. If this isn’t intriguing enough, a study in 2014 showed that it did indeed impact metabolism at a baseline level. This, in turn, had a great benefit of helping test subjects lose weight and forestall obesity. Another study showed that the way that cordyceps enhances metabolism also plays a part in its ability to improve athletic performance. Many practitioners of alternative medicine or herbalism will call cordyceps an “adaptogen.” This means that it is a healthful botanical that, if taken over the long-term, can help ameliorate stress. Studies find this to be very likely true, too. One study, in particular, showed that test subjects undergoing stress revealed evidence that they withstood that stress better in many ways when they took cordyceps, compared to subjects that didn’t. Stress has many ways of eating up our lives and ruining our wellness, as seen in issues like stress burnout and adrenal fatigue. Fortunately, cordyceps can be a huge help for this. Cordyceps goes even a step further beyond stress, showing potential for helping both stress and depression. A study in 2011 showed this, revealing that the mushroom could help assuage the inflammation in the brain and nervous system associated with depression, as well as certain other chronic diseases. By this model too, some research also suggests cordyceps could help with managing anxiety, too. It appears to do so in connection to its ability to ramp up ATP levels, which are also responsible for helping anxiety and depression, and not just basic energy stores. Though it won’t work just like an anti-depressant/anti-anxiety medication, it could provide long-term holistic support. One of the ways that cordyceps helps depression, anxiety, and mood disorders may be linked to the way in which it protects the brain, neurons, and the nervous system. What this means: if it can do this, it can very well by extension help protect the brain and nervous system in other ways. 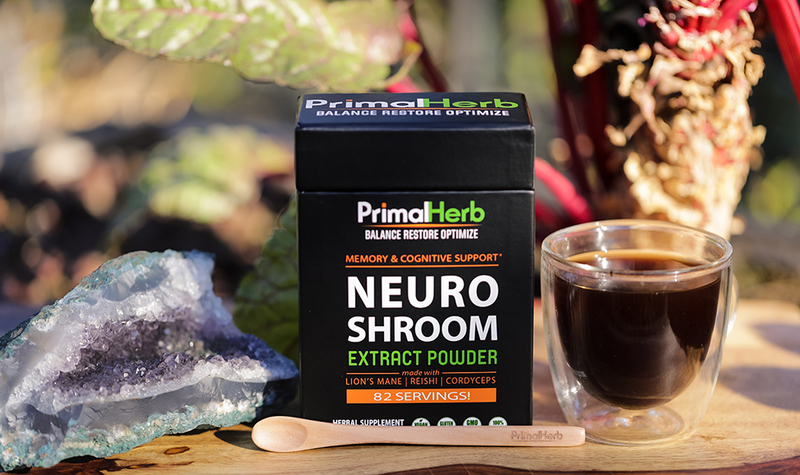 This means enhanced cognition, improved memory, and even less brain fog issues. A 2016 study even showed cordyceps’s compounds directly protecting neurons and nerves. It also mentioned that the fungus could one day be a proven therapy for neurological disorders. Yet another showed that it could protect against damage from stroke. The endocrine system deals with glands, hormones, adrenals, and more. It also involves health aspects ranging from reproductive health and hormonal health to metabolism, digestion, thyroid health, and more. Cordyceps exerts quite an effect on the endocrine system, at least according to scientific research and evidence-based uses. It especially seems to have an affinity for reproductive health in both men and women. On one hand, studies show it can boost testosterone and even increase fertility according to another study. It’s also shown to improve reproductive health in both women and men and can even have estrogenic benefits for women according to one study. When it really comes down to it, cordyceps can be seen as a protector and tonic for overall health everywhere in the body. Why? Because cordyceps is a mushroom that is rich in antioxidants. This means it helps scavenge free radicals, or “rogue cells,” that can cause disease, degeneration, and damage in the body. More importantly, it can help put a halt to chronic inflammation in the body, one of the principal harms that can result from too much oxidation. Studies aplenty in fact demonstrate such actions from the fungus, and even trace this basic activity to many of its diverse benefits, too. Knowing cordyceps is an antioxidant goes to a deep cellular level. But that doesn’t mean that’s as deep as it gets! Studies show cordyceps works even deeper: it could protect mitochondria, basically mini organs or “organelles” that dwell in each cell in the body. These are important for resisting free radical damage, optimizing energy, and cleaning up dead cells. What’s more, another study shows cordyceps could even aid the process of autophagy, a fancy term for the dead cell “clean up” our mitochondria do. What this means: cordyceps protects the body even at the most minute level and could even help it age more gracefully. One of the very best benefits from healthier mitochondria and less free radicals is an automatic enhancement of immunity. When foreign harmful cells build up or if mitochondria aren’t allowed to do the cleanup they are designed to do, the result tends to be chronic inflammation. The body copes with this by rectifying it through the immune system. Antioxidant and mitochondria-supporting herbs and mushrooms, such as cordyceps, help take away this chronic inflammation studies show. In turn, this helps the immune system work at its best and better handle bigger problems. This may include untreatable viral diseases like colds and flu, and even autoimmune issues like rheumatoid arthritis. Each and every benefit cordyceps has is primed to help people with chronic disease, and in a variety of ways. One that it could specifically support is type 2 diabetes, which is both a metabolic and autoimmune disease involving chronic inflammation. One study in 2012 found that cordyceps aided the body in coping with symptoms and complications of type 2 diabetes. This included kidney and pancreatic issues. In another, the mushroom appeared to help regulate blood sugars, which can both reduce the risk of and help support the illness. In the study, cordyceps helped reduce blood sugar levels by 47%! Part of how cordyceps helps diabetes is by helping the kidneys, too, which can suffer greatly as a result of the condition. 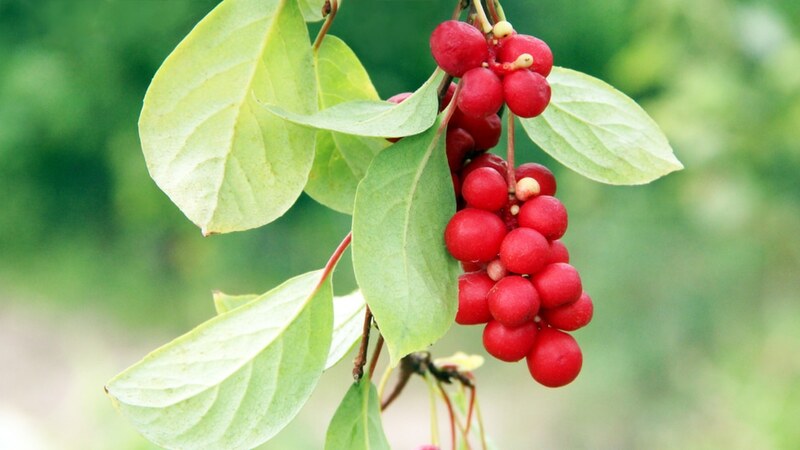 But even for those who don’t have diabetes, this Asian fungus can be of great help for improving overall kidney wellness. A major review in 2014 also found that the mushroom may one day be a helpful therapy for treating kidney diseases as well, though more studies will be needed before then. Again, cordyceps benefits to the kidneys can no doubt be linked to its antioxidant activity. Studies show that it can possibly help reduce proteins in urine while helping clearance of fluids. Last but not least: cordyceps could be very effective for combating cancer, as well as reducing the overall risk of developing it. Its antioxidant action is the foundation of these effects found in the polysaccharide compounds in the mushroom. In some studies, another compound called cordycepin showed even more direct resistance to cancer: including the killing of tumor cells and stopping them from spreading, too. As a supplement, cordyceps may do a little bit in helping reduce cancer risk, or even supporting cancer in people who have it. Still, it has a long way to go before being called a cancer medicine, treatment, or remedy. Though it’s a mushroom only unique to Asia, that’s not to say that cordyceps’s health can’t be available to anyone, anywhere. Since cordyceps is so famous in the scientific world for boosting energy and ramping up ATP levels, we couldn’t help but add it as a vital ingredient to our ATP ENER-G blend designed for energy enhancement.